The patented StoreWALL system provides the structural element for most of the Store&Order storage solutions, allowing you to "Organise anything... anywhere!" All Store&Order cabinets, accessories, folding workbenches and workcentre kits fit onto the StoreWALL panels, to allow you the flexibility to "Organise today... change tomorrow!" to suit your lifestyle needs. 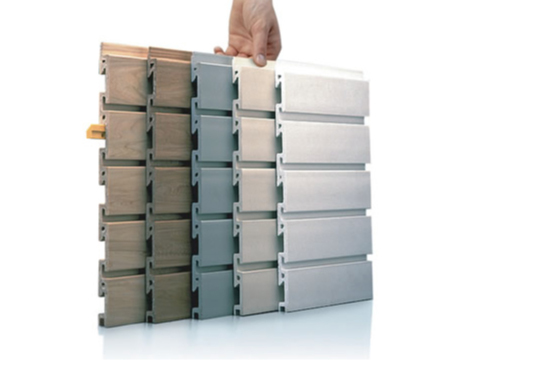 StoreWALL panels are available in a range of classic colours in an exclusive matt finish. The panels can be installed with the exclusive “HangUps” hidden fastener system for design flexibility as well as a unique “Dowel” ready joining system for a smooth and pleasing appearance. L-Shape Slots are more attractive and are designed to accept most standard wall accessories.